Welcome to the Wholesale Rose Directory. Here you will find information about commercially produced cut wholesale roses specifically grown for the cut flower trade. This web site has been designed to make choosing wholesale rose varieties easier for Florists & Wedding Flower Enthusiasts. The Oops Rose is a stunning medium to large mid pink rose. Oops Roses have a beautifully shaped flower head with a good petal count. Oops Roses are wholesaled in wraps of 20 stems. Stem lengths range between 60 and 90cm tall depending on the grade chosen. 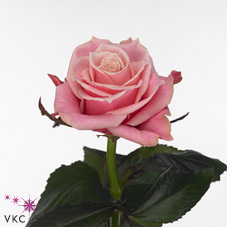 If you are looking for a mid pink medium to large rose, Oops roses are an extremely good choice!